Brie is a very popular cheese—and duly so. People love brie, they ask for it, and they smear it on crackers, bread, bagels, bake it in pastry dough, and dump jams and preserves all over it. I encourage this behavior. Triple creams are also very popular. A lot of people come in searching for “Délice” which is part of the name of a couple of different triple creams, but also some double creams (like Délice d’Argental). These people are usually looking for either Délice de Bourgogne or Délice de mon Sire, two very different types of triple cream. But what most people don’t really know or understand is the difference between a brie and a double cream, as it were. They all look the same, just some are taller or smaller, stronger or milder, creamier or gooier or what have you. The truth is that trying to make a distinction between the two takes you down a rabbit hole, because there’s a lot going on when you talk about what is different between “Brie” and a “triple cream.” Consider this a crash course in sorting it all out. For starters, “triple cream” is a family of cheeses, and “Brie” can either be one specific cheese or a style of cheese. Both bries and triple creams fall into the same family of cheeses. But for all their similarities as relatives, there are also differences. First, Brie is a type of double cream cheese. This means the butterfat content of brie is 60 to 75 percent. It is made in relatively small wheels (no more than about five pounds), from curd that is handled as little as possible from step one to the end of the aging process. True French Brie can be one of two specific, name-protected cheeses that are made a certain way in the county of Brie: Brie de Meaux and Brie de Melun. 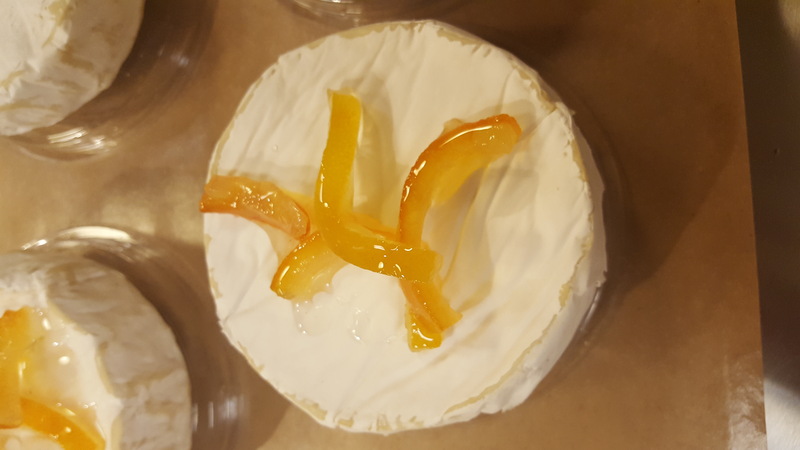 Brie also refers to a family of similar cheese made in that same county, without name-protection rules, like Brie de Coulommiers, Fontainebleau, Boursault, and so forth. Camembert is made with the same recipe and procedural guidelines as Brie, but the name designates the location and terroir of the village of Camembert in Normandy. There are a lot of other double-cream cheeses that you could call brie-style cheeses. By and large, the French ones are named for the place they are from—just like Gruyère, Gouda, Gloucester, Gorgonzola, and so forth. Triple creams basically take the milk you would use in a double cream, and then add an extra portion of cream. This means triple-cream cheeses must be at least 75 percent butterfat. You could say they tend to be even more buttery than butter itself. 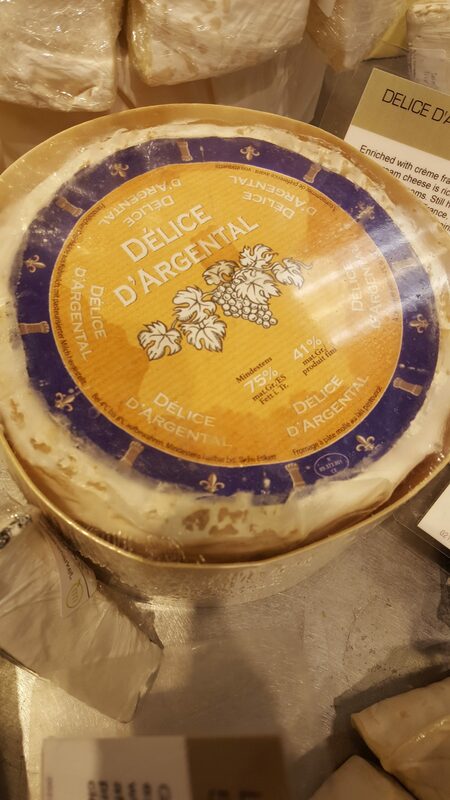 Within this type of cheeses, you will find the much sought after Délices, Brillat Savarin, Pierre Robert, and Saint-André. Both double creams and triple creams are bloomy-rind cheeses. 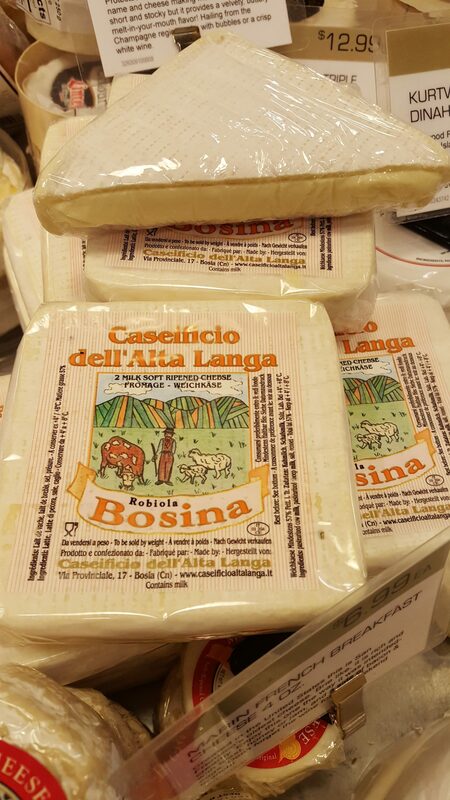 This refers to the soft, white rind protecting the divine, creamy, buttery paste. This rind, which is totally edible (so stop cutting it away, people! ), is created by a culture of molds and yeasts blooming on the outside of the cheese. That may sound gross, but it is actually delicious. Here’s a homework assignment for you: go get yourself a good, soft-ripened cheese. Let it sit out for at least 40 minutes to achieve peak serving temperature. Then taste the paste itself. Take note of what aromas, textures, and flavors you encounter. Then taste just the rind. See what you notice in that bite. Finally, take a bite of the paste with its rind. Now what do you smell and taste? The rind actually contributes quite a lot to your overall impression of a cheese’s characteristics. It is important to note that bloomy rind cheeses come not only in cow’s milk bries and triple creams, but also in sheep and goat’s milk varieties. Cypress Grove’s Humboldt Fog and Truffle Tremor are notable examples of soft-ripened goat’s milk cheeses, and robiolas like La Tur and Robiola Bosina due latte are divine Italian soft-ripened cheeses made from three and two different milks, respectively. While we’re at it, you might as well know that traditional French soft-ripened cheeses must be made with raw milk, which means you can only get them in France. The FDA bans the import of raw-milk cheeses that have been aged for fewer than 60 days. Since our bloomy buds are typically only aged for a few weeks, they cannot come to the US with their older compatriots. This means that a lot of French companies that wanted to import young cheeses to the US had to start using pasteurized milk in their recipes, which takes away the name protection (and a lot of the cheese’s terroir). This renders a Brie a “brie-style” cheese or a Camembert a “camembert-style” cheese. Luckily, with the rise of artisanal cheese making within the US, some American cheesemakers have started producing their own raw milk soft-ripens. Hallelujah! Whether you want pasteurized or unpasteurized bloomy-rind cheeses, there are actually quite a few American-made bries, camemberts, and triple creams on the market. On the West Coast alone, we’ve got the aforementioned Cypress Grove, as well as Cowgirl Creamery, Marin French Cheese, and Mt. Townsend Creamery; from the East Coast, Vermont Creamery is perhaps the best known across the US. Those are the heavy hitters, and then there are numerous smaller producers in just about every state whose creations are worth getting your hands on. Moral of the story: next time you want to indulge in some gooey, soft-ripened goodness, don’t just go for “brie” or the Délice of your choice. Check out all of the soft-ripens and try something new. Or get a couple and do a side-by-side taste test. I might as well also ruin it for you before you get to dreaming: the French generally prefer to eat their soft ripens not gooey and oozy like Americans do, but still-firm and almost chalky, with just the slightest cream line forming around the inside of the rind. So you can also try your soft-ripened cheeses not just when they are practically molten, but also when they are still not fully ripe. I bought some about a week ago and I am looking for a super gr8 recipe. Most that I’ve found on line have been sweet french desserts that I am not a fan of sweet pastery. Hi Paul, I don’t usually cook with these types of cheeses, but it makes sense why they would be included as ingredients in desserts–because they are so buttery and rich. You could try smearing some on a hot dog or sausage and pairing it with a really good mustard (it works, no joke! ), or try some on toast with peanut butter. I could also see a triple cream pairing well with squash recipes (especially butternut squash), potatoes, or even mashed sweet potatoes. Typically bries and triple creams better lend themselves to sweet pairings, but that’s not to say that savory pairings aren’t possible!